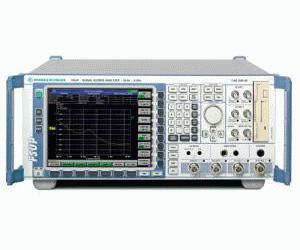 The Signal Source Analyzer R&S FSUP offers the user a high-end spectrum analyzer (R&S FSU) up to a maximum frequency of 50 GHz, combined with a phase noise tester based on the PLL method. In addition, the R&S FSUP is equipped with two independent, very low-noise DC ports. Supply voltage and tuning voltage can be individually defined for each port via a clear-cut menu, which enables control of external oscillators or a complete characterization. Like an FM/PM/AM demodulator the R&S FSUP records the oscillator signal over time. With the functionality of a phase noise tester, time domain and spectrum analyzer combined into a single device with a maximum input frequency of 50 GHz, the R&S FSUP is the optimum instrument for development and production.